Leafy green veg like kale and chard are some of our favourite winter crops – incredibly easy to grow and brilliantly versatile in the kitchen. There’s a great thrill in gathering an armful of kale on a frosty morning or heading down to the allotment with a torch to find some chard for dinner! 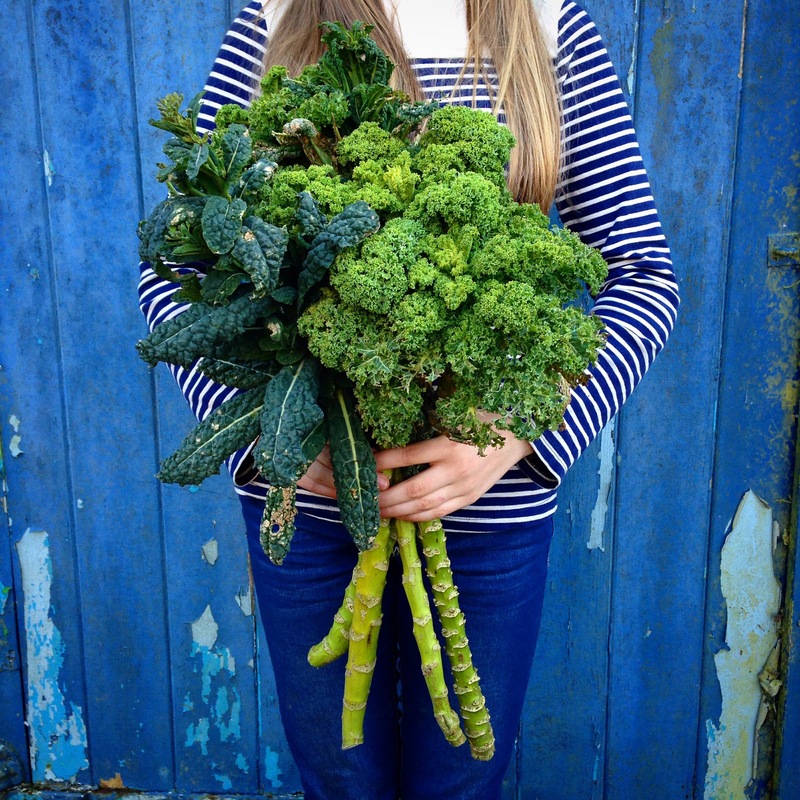 Big armfuls of curly kale and black ‘nero di toscana’ are destined for a batch of kale crisps and a very tasty green juice, our so-called ‘Green Goddess’. Full of homegrown green goodness and a real kickstart to the day…. 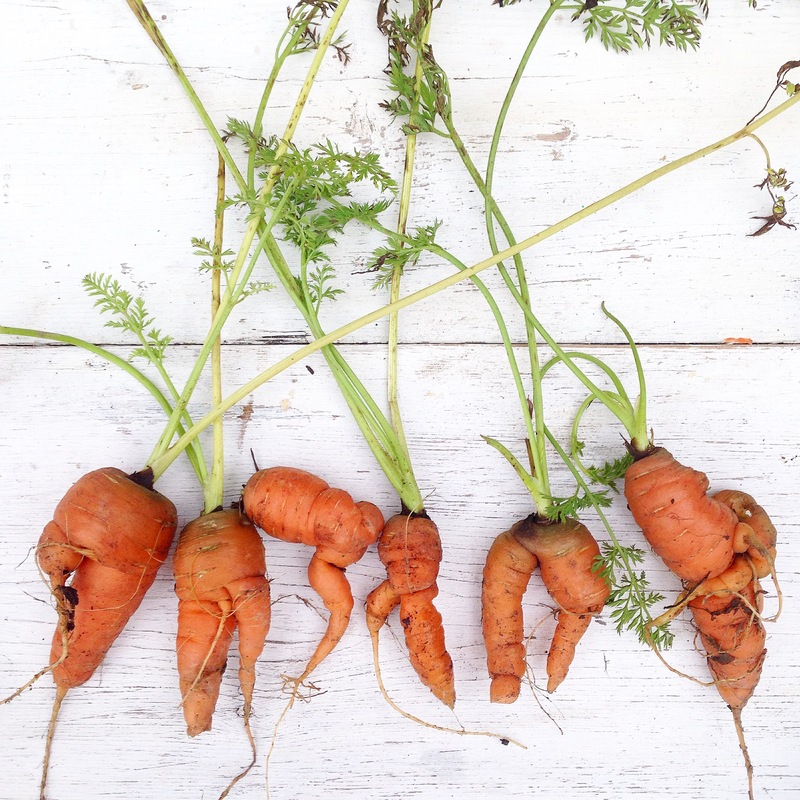 I’ve got my fingers crossed for some bigger, straighter homegrown carrots this year, although wonky or straight, they’ll still taste amazing! We’ve sown 3 varieties, including some purple ones(!) and this time they’re in a deep, raised bed, so we shall see… These ones went straight into the juicer to make our awesome ‘allotment juice’. Very yum.